Living in the entertainment world, appearance becomes the most important thing for an artist. Various accessories often pinned to support the appearance, both when appearing and in everyday life. Not infrequently the accessories even become their signature style. Glenn Fredly and hat like a single unity that can not be separated. Pop and RnB singer born September 30, 1975 is always consistent perform with the head cover accesoris them. In an interview, Glenn acknowledged the hat became the mainstay of his performance in every gig. Comfortable and looks youthful is the reason ex-husband Dewi Sandra is choosing a hat as a complement to fashion. Unmitigated, Glenn even hunt hats out of the country. For fans of singer song Kasih Putih is certainly familiar with the cap model that is often used Glenn. Yup, Flat and Ascot hat is the hat Glenn used most often when performing. The Flat Hat is a round hat with a stiff little brim in front of it. Almost similar to Flat, Ascot cap comes with a more sturdy round shape. So crazy with his hat, Glenn willing to spend up to millions to buy a hat. Almost the same as Glenn Fredly, Anji the vocalist of Drive band is also always appear with a hat. Anji also has a collection of hundreds of hats with various types, such as Fedora hats, boater hat and caps. The hats that Anji has are not only worn during a gig, but also in daily life. The habit of this ex MC of Ceriwis talk show is wearing a hat. Hats have become a fashion need for Indra Bekti since sitting in junior high school. Even the hat, according to Indra, became a booster of his confidence when appearing in public. Since junior high school, Indra started collecting various types of hats. From pet hats, fedora, to cowboy hats. Until now, his collection of hats reach hundreds of pieces of various types. The singer of the song Lho Kok Gitu Sich also has a special room to store his hat collection. For some people, Fedora hat may not be too familiar. But, if you mention the name of the hat you will immediately imagine the type of hat that Tompi always use is made from thick fabric and fluffy. At the edges are rather wide and curved in the crown. 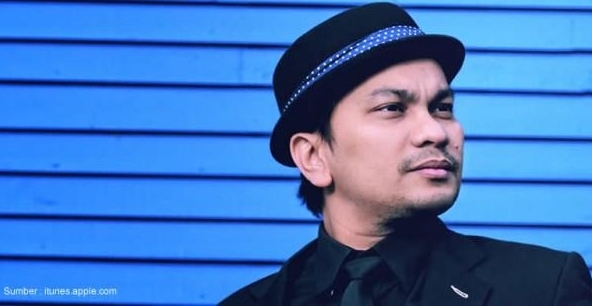 Indeed, Tompi, a jazz singer who is also a doctor often appear to public with a Fedora hat. Because Tompi and fedora couldn't being separated, a number of online stores named a fedora hat with a Tompi Hat. The reason why Tompi choose to using Fedora type of hats, none other than because it is comfortable and fit with his face. Tompi himself admits there is less if performed without a hat. For that, Tompi always keep all his hat in the car and carried everywhere.